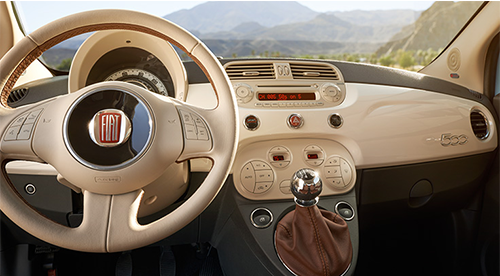 FIAT is a leading car manufacturer when it comes to style. To celebrate the FIAT 500’s 57th anniversary, FIAT rebirthed the 1957 model into an all-new retro model. With similar design elements to its ancestor, the FIAT 500 model offers a fun, head-turning driving experience. The little Cinquecento coupe was a huge hit in 1957, and the same goes for this year’s 2014 model. This small compact car is chic and easy to maneuver but that’s not all there is to love. Here’s more on the 2014 FIAT 500, 1957 edition. The FIAT 500 1957 edition celebrates FIAT’s brand icon, the Cinquecento. It embodies a classic design with a touch of modern day technology. If you love all things Italian, this cute automobile captures the style and elegance of the Italian spirit. Retaining the classic design qualities of the 1957 model; new FIAT 500 interior offers a sophisticated feel. Its timeless interior comes with premium brown Leather seats with chic ivory accent stitching. To make the interior uniform, the grey door panels are adorned with ivory inner panels and brown armrests. Also, strips of brown leather are placed inside the rim of the ivory colored Steering wheel. When it comes to entertainment, you can count on the six-speaker audio system with satellite radio to deliver. You will be turning head everywhere you go this summer with the new FIAT 500’s vintage sports car look. 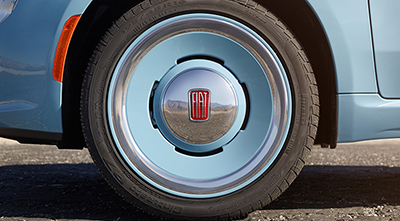 This hatchback comes with 16-inch wheels detailed with distinctive body-color center caps and retro 50’s FIAT badges. Equipped with all-season performance tires and a sport-tuned suspension, you can expect a smooth ride. If celestial blue is not your color, have no fear. Other body paint colors include light green and white. The Light green and celestial blue color options come with white painted roof and mirror caps. Heading to the beach this summer? Why not arrive in style in the FIAT 500 1957 edition. With comfortable seating for four, you can invite some friends and enjoy an entertaining ride down to Wesley Chapel, FL. Also, thanks to the FIAT 500’s compact size and lightweight body, you don’t have to worry about spending too much on gas. When it comes to cars, you either have to pick good looks or efficiency. With the 2014 FIAT 500, 1957 edition you can get the best of both worlds. Why not visit us at Parks FIAT of Wesley Chapel and experience this beaut for yourself. We are located at 28647 State Road 54 Wesley Chapel, FL 33543. You can also call ahead and schedule a test drive at (888) 713-8650. Categories: 2015 FIAT Models, General | Tags: 1957 fiat, 1957 fiat edition, retro fiat | Permalink. Follow Parks Fiat of Wesley Chapel. 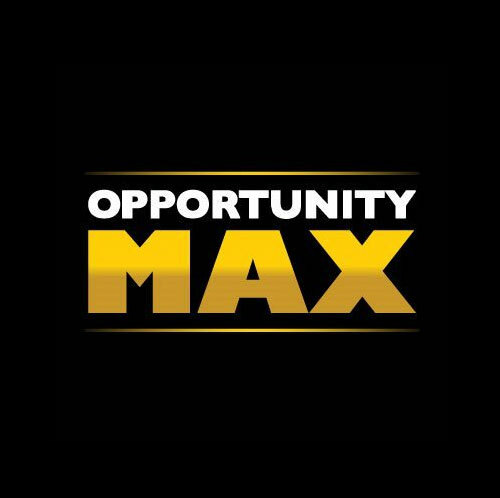 Opportunity Max is an automotive digital marketing company that delivers proven programs to increase car sales.